The Commerce City Recreation Center renovation is one of five projects in Commerce City’s voter-approved capital improvement plan. 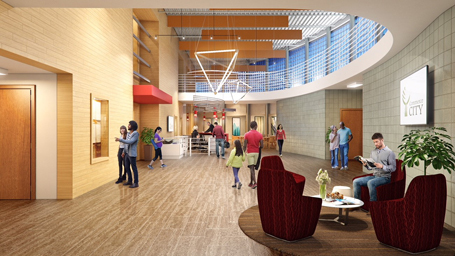 The recreation center underwent a major renovation in 2018, with a 6,000 sq. ft. addition, totaling 67,000 sq. ft. 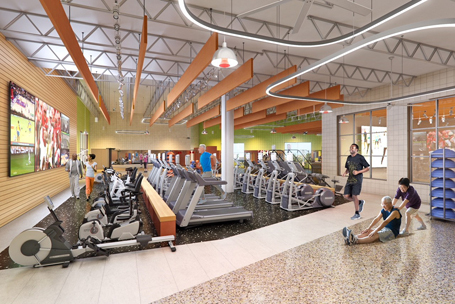 The facility is now known as Eagle Pointe Recreation Center which offers a wide variety of health, fitness and creative programs, and activities and classes. The upgrades improved flow, increased spectator space, and improved energy efficiency. New features include a 1,400 sq. 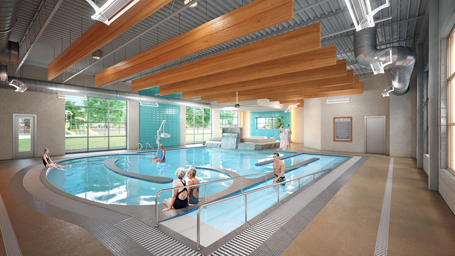 ft. therapy pool with current channel, underwater bench seating, and waterfall feature as well as family locker rooms, expanded fitness area, improved dance and fitness facilities, community meeting spaces, technology lab, improved restrooms, and steam room relocation. 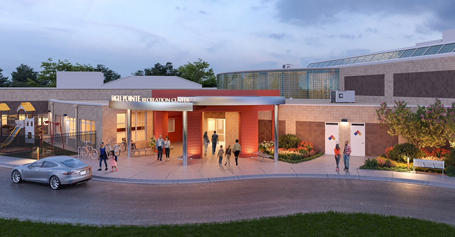 To get the community involved, the city hosted four public meetings, several focus group meetings, and online/paper surveys to obtain feedback about programming elements for the expansion of the existing center and the new recreation center.